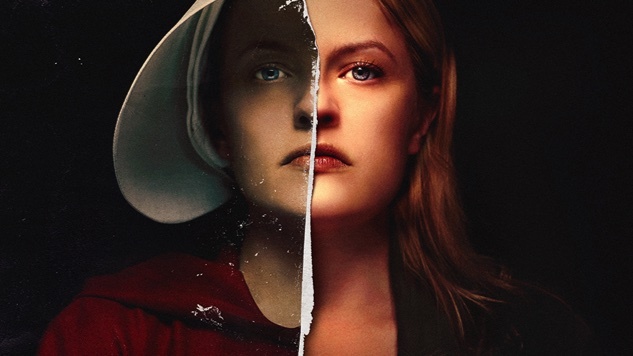 Hulu announced on Wednesday the renewal of the cultural phenomenon The Handmaid’s Tale, along with three new projects and much more. The Handmaid’s Tale gets a third season renewal order after a record-breaking season two premiere—the hit series doubled its viewership from last season. The book’s author, Margaret Atwood, will serve as co-executive producer for season three after serving as a producer the first two seasons. The award-winning series took last award season by storming winning every television award under the sun, including a prestigious Peabody Award this year. Hulu continues its onslaught of original programming by announcing series orders for three new shows. The first is Four Weddings and a Funeral, a limited series written and executive produced by Mindy Kaling and Matt Warburton, based on the 1994 classic British rom-com of the same name. Like the original film, the series will follow a group of friends as their lives constantly intersect at five life events. Along with Kaling and Warburton, Jonathan Prince, Howard Klein of 3 Arts and Working Title’s Eric Fellner will serve as executive producers on the project. The new series will be Kaling’s second with Hulu after the acclaimed comedy The Mindy Project moved over to the streaming platform from Fox in 2015. There’s also Ramy, another series written and created by a South Asian creator. The life-imitating-art comedy series will be based on the life and comedy of actor/comedian Ramy Youssef (Mr. Robot) described in a press release as “a first-generation American Muslim who is on a spiritual journey in his politically-divided New Jersey neighborhood.” Along with writing, creating and starring in the series, Youseff will serve as an executive producer along with Jerrod Carmichael, Ari Katcher, Ryan Welch and A24’s Ravi Nandan. This will be A24’s first project with the streaming platform. The third new series in the works is the much-talked-about horror anthology series stemming from the partnership between Hulu and Blumhouse Television, now titled Into the Dark. Blumhouse will bring its signature genre/thriller twist to the project, as the first feature-length episode, titled “The Body,” stars Tom Bateman (Murder on the Orient Express) and Rebecca Rittenhouse as a hitman and the woman who loves him. The cast is rounded out by Aurora Perrineau (Truth or Dare), David Hull (Insecure) and Ray Santiago (Ash Vs. Evil Dead). Paul Fisher wrote the screenplay and will serve as executive producer alongside Blumhouse’s David Alexa Faigen. “The Body” will air on Oct. 5, while the second installment, titled “Flesh and Blood,” starring Dermot Mulroney (Shameless), Tembi Locke (Eureka) and newcomer Dana Silver, will air on Nov. 2. These new series will join the latest slew of new Hulu originals, including Castle Rock—which, as the streamer announced today, will premiere its first three episodes on July 25—along with Little Fires Everywhere, Catch-22 and The First. Along with their new shows, the streaming platform has entered a multi-year exclusive deal with DreamWorks Animation to create original content based on popular entities and stream its extensive catalog of films beginning in 2020. Per Hulu’s release, “This marks the first time Hulu has partnered with a major studio in a multi-series commitment to debut original kids and family content.” Hulu also acquired the streaming rights to the ABC hit drama The Good Doctor, adding to its growing list of ABC properties. Lastly, Hulu announced Wednesday that they had passed the 20 million subscriber mark, an impressive number that is nevertheless dwarfed by Netflix’s. The latter streamer hit 125 million subscribers in mid-April, per reports. With this upfront presentation, Hulu is making its David-vs-Goliath rivalry with Netflix well known. How that pans out in the future, only time will tell.